It’s barely the second week of the year, and we’ve already been treated to an arrangement of weird and wonderful monitors that hint at how homes and offices could change in the future. The annual Consumer Electronics Show is always full of displays. Whether it’s new 75-inch MicroLED TVs or a blurring of monitors and TVs, displays are the superstars of the show. CES in 2019 is no different, and this year, we’ve seen giant monitors the size of TVs, super-wide displays, portable monitors, ones that save space on your desk, and even some new attempts at regular laptop screens. While most current monitors are 24 or 27 inches in size, ultrawide screens have emerged as a way to give you two of those screens in one. 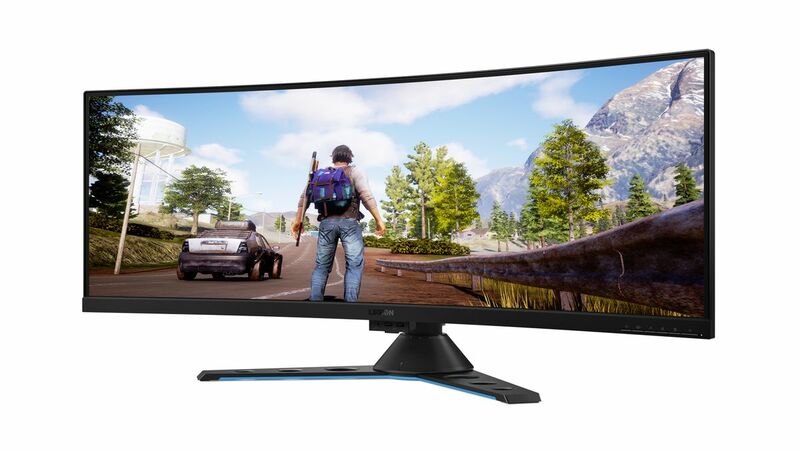 Samsung, Dell, Philips, and LG all have 49-inch ultrawide displays, primarily for gamers. Asus unveiled its own 49-inch ultrawide gaming monitor this week, and now Lenovo, the world’s biggest PC maker, is joining the ultrawide display party with its own 43.4-inch monitor. It’s aimed at both gamers and businesses, with options to run two separate video inputs side by side or even picture in picture. You might need to clear some desk space for these bigger monitors, but they’re a multitasker’s dream come true. Manufacturers are clearly getting comfortable pushing us close to 50-inch monitors for regular desk use, and Nvidia is even about to ship a giant 65-inch monitor for PC gamers. It feels like we’re slowly progressing toward Microsoft’s future vision of everyone working on giant displays. Those same screens looked bizarre when Fox News started using them in its newsroom, but perhaps we’ll all be laughing at tiny 27-inch monitors in the future, wondering how anyone ever got any work done. If you don’t have the space for 49- or 65-inch monitors, Samsung has some new monitors that can fold flat against a wall to give you back desk real estate. They’re essentially displays mounted on monitor arms that clamp to a desk and adjust to be pulled toward you or moved to be flat against a wall. They’re ideal for small spaces or multifunctional rooms, and they’re such a wonderful idea it’s surprising they’ve only just appeared in 2019. Two 27-inch LG Display Neo Art portable monitors driven off a single MacBook Pro. There’s also been progress on portable displays this year. 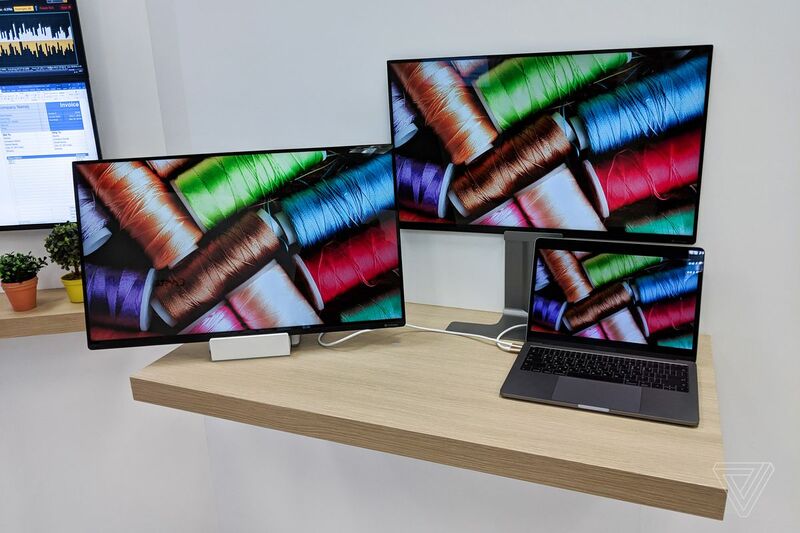 Asus’ portable USB-C monitors first debuted in 2017, offering a 15.6-inch display that connects over a single USB-C port. LG Display is now experimenting with 27-inch portable monitors that can be powered from a laptop battery. These concept monitors are portable in the sense that you can move them from room to room, but traveling on public transit with a 27-inch monitor isn’t exactly my idea of portable. Thankfully, other manufacturers are also looking at paper-thin USB-C monitors if you really want an additional screen for your laptop or even to hook a phone up to. Once the industry has settled on a design that works, these might become more common, but the issue of portability will still hold them back until we can roll displays up and shove them in our backpacks to save some space. We saw rollable TVs move from concept to reality this year, so it’s possible. Even laptop displays are getting a little weirder. 2018 was a weird notch year for phones, and it’s certainly looking like the year of the reverse notch is dawning for laptop displays. Laptop display bezels are dying off, and now Asus and Lenovo have gone a step further with a notch sticking out the top to get laptop bezels even thinner. 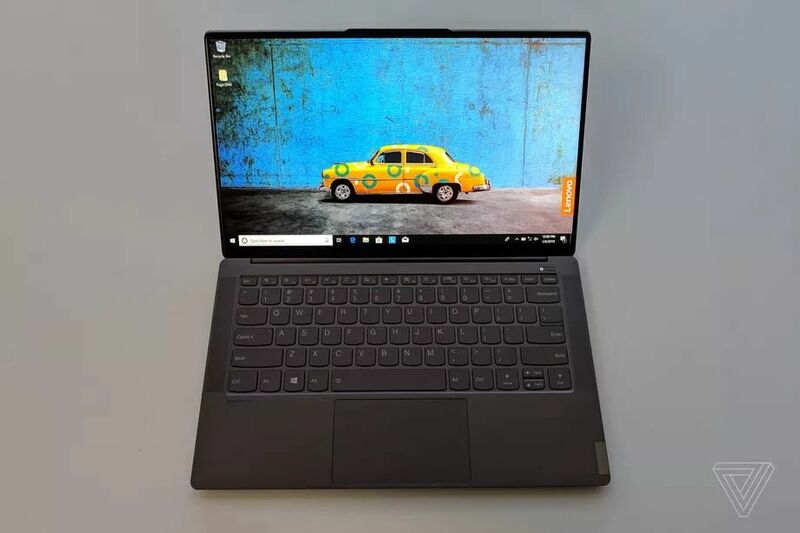 While Dell might have finally fixed its XPS 13 webcam position, Lenovo’s new Yoga S940 and Asus’ ZenBook S13 have a notch jutting out above the display to squeeze a webcam in. It keeps the laptop display bezels really slim, without having a camera beneath the display or integrated into the keyboard. Asus and Lenovo are ready to ship these laptops, and there are bound to be more from other manufacturers this year. The next stop for more weird and wonderful monitors will be Computex at the end of May where just a few years ago a 34-inch monitor seemed big.